Making the decision to move to a long-term care home is a life-changing step for you and your family. It's important that you have all of the information you need to choose the home that is right for you. There are many things to consider, including the level of care you require, location, availability, and cost. Your Care Coordinator can help you think through your decision. If you are able, we recommend that you and your family visit the homes you are interested in and ask questions before making a final decision. 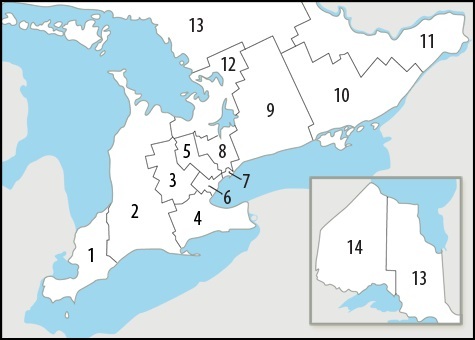 Each person who applies for long-term care may choose up to five (5) homes anywhere in Ontario, in order of preference. These decisions will help determine the amount of time a person waits for long-term care. If you need care urgently, you are able to add more homes to your choice list. If you move to a home that is not your first choice, you may stay on the waiting list for your first choice. For more information, please speak with your Care Coordinator at 310-2222. We're here to help. To learn more about individual Long-Term Care Homes, visit the Reports on Long-Term Care website and Health Quality Ontario's long-term care public reporting website. There are many factors to be considered when choosing a home. The size of the waiting list (number of people on the wait list) in homes you are considering may be important to you. This document provides information about waiting lists in long-term care homes in this region; the wait list is not an indication of wait time (how long an individual will wait to access care). Each individual may choose up to 5 homes and up to 3-bed types in each home. This means that one person may be represented on multiple waitlists. The number of days waited is presented as the experience of 9 out of 10 people (90th percentile). You may wait for a longer or shorter period of time, depending on your circumstances and the number of available beds. Each person who applies for long-term care is assigned a priority category. The priority category of each person on the waitlist also affects wait times.